Korean Karate is a very widely practiced Asian form of Martial Arts. It relies on acute physical coordination and mental focus. 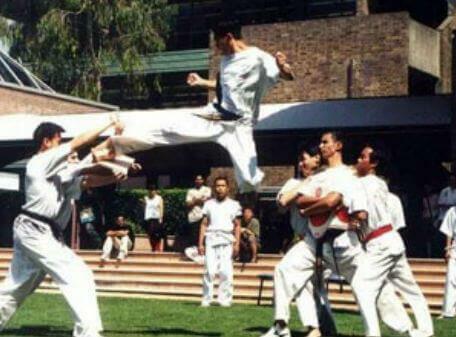 Korean Karate is a very dynamic form of traditional martial arts. 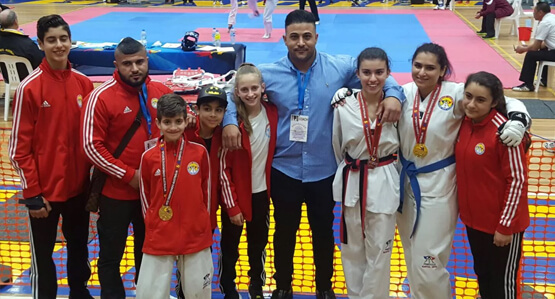 Korean Karate evolved into traditional Taekwondo and further developed into the Olympic Sport of Taekwondo in 1988 Soul Olympics. 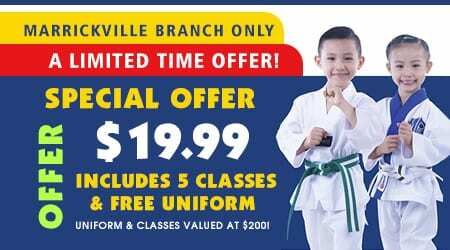 How will Korean Karate near Fairfield benefit your child? 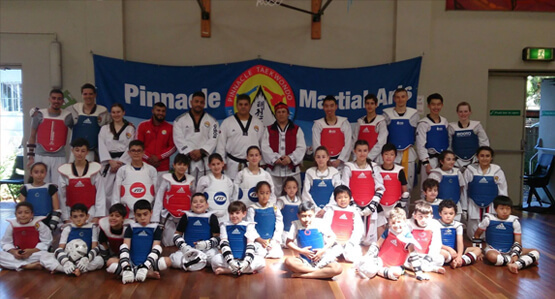 How will Pinnacle Martial Arts programs in Sydney benefit you? As you move through the programs, you will get coloured belt and black belt Dan advancements, which indicates your achievement. 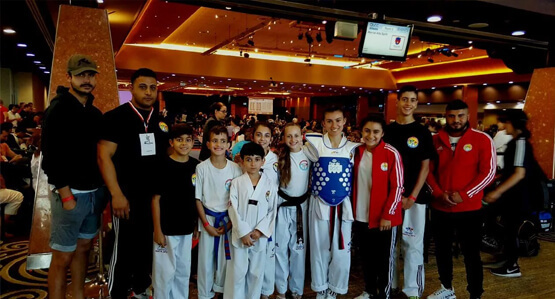 The entire atmosphere at our academy is exciting and motivational and has a very safe, modern, and clean environment. Our instructors are encouraging and firm in their approach and ensure that each student gets the attention he/she needs. Once you move through our Korean Karate program you will develop a deep sense of confidence, pride and self-respect. 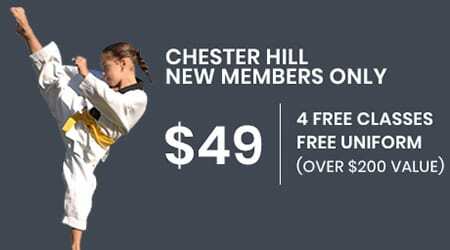 Come learn the dynamic Korean Karate complemented by proven techniques and methods selected from Taekwondo, Hapkido, Japanese Karate, Kung Fu near Tempe under the guidance of world class master instructors. 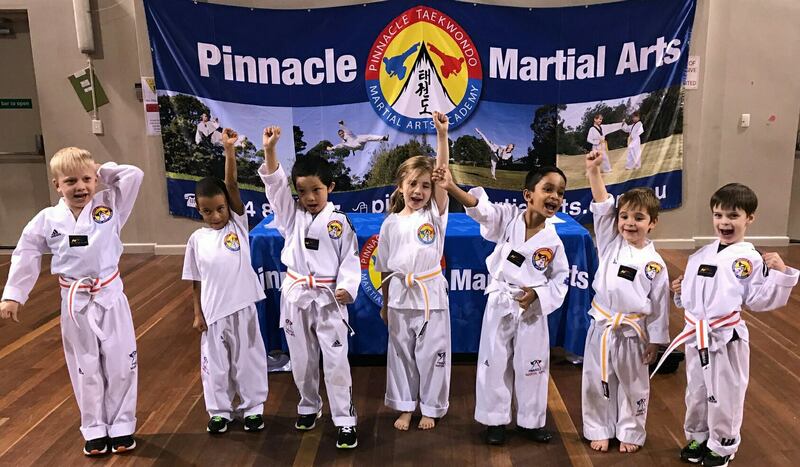 Pinnacle Martial Arts Academy in Sydney has programs specifically designed for kids, starting from 3 years of age. As you move through the programs, you will get coloured belt advancement, which indicates your achievement. The entire atmosphere at our academy is exciting and motivational and has a very safe, modern, and clean environment. Our instructors are encouraging and firm in their approach and ensure that each student gets the attention he/she needs. 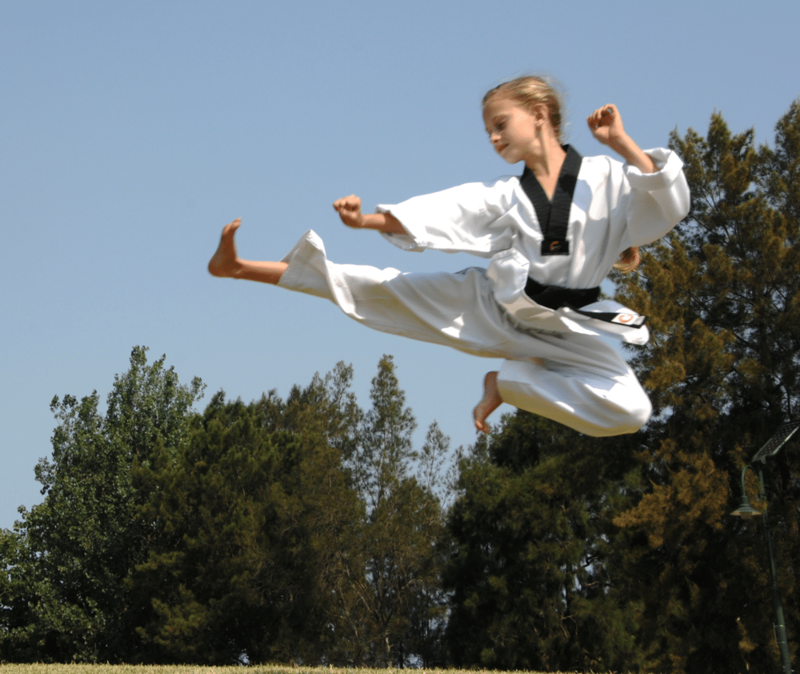 Once you move through our Korean Karate program you will develop a deep sense of confidence, pride and self-respect. Come- learn Korean Karate near Tempe under the guidance of world class master instructors. 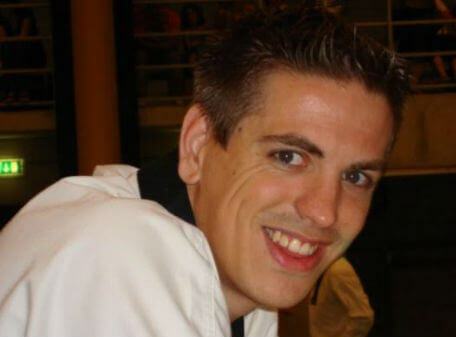 Are you looking for the following Martial Arts & Karate Self Defence near Fairfield ? If you are looking for progressive Korean Karate in Fairfield for kids and adults, real Martial Arts training in Fairfield for all, effective Self Defence methods in Fairfield for everyone, Kung Fu influenced Martial Arts in Fairfield, Sports Taekwondo competition training in Fairfield for kids and adults, dynamic Karate in Fairfield, Hapkido inspired Martial Arts in Fairfield, dynamic Martial Arts and Korean Karate in Fairfield for kids, adults and families, then look no further, come try and learn the Pinnacle of Martial Arts Korean Karate in Fairfield in a safe and fun environment with innovative Pinnacle Martial Arts Academy Sydney. Pinnacle is famous for Martial Arts near Fairfield, Martial Arts around Fairfield, Martial Arts Close to Fairfield, Martial Arts In Fairfield, Martial Arts lessons Fairfield, Martial Arts Fairfield, Martial Arts Training in Fairfield, Martial Arts classes in Fairfield, Martial Arts near me, Martial Arts lessons for adults in Fairfield, Martial Arts for kids near Fairfield, Martial Arts for children near Fairfield, Martial Arts clubs Fairfield, Martial Arts Schools Fairfield, Martial Arts schools near me, Martial Arts Schools Sydney, Martial Arts clubs Sydney, Martial Arts for women, Martial Arts for teens, Martial Arts for adults, Martial Arts all ages, Martial Arts academy Fairfield, Kids Martial Arts, Fairfield Martial Arts, Martial Arts tuition, Martial Arts for beginners, Self Defence near Fairfield, Self Defence around Fairfield, Self Defence Close to Fairfield, Self Defence In Fairfield, Self Defence lessons Fairfield, Self Defence Fairfield, Self Defence Training in Fairfield, Self Defence classes in Fairfield, Self Defence near me, Self Defence lessons for adults in Fairfield, Self Defence for kids near Fairfield, Self Defence for children near Fairfield, Self Defence clubs Fairfield, Self Defence Schools Fairfield, Self Defence schools near me, Self Defence Schools Sydney, Self Defence clubs Sydney, Self Defence for women, Self Defence for teens, Self Defence for adults, Self Defence all ages, Self Defence academy Fairfield, Kids Self Defence, Fairfield Self Defence, Self Defence tuition, Self Defence for beginners, Karate near Fairfield, Karate around Fairfield, Karate Close to Fairfield, Karate In Fairfield, Karate lessons Fairfield, Karate Fairfield, Karate Training in Fairfield, Karate classes in Fairfield, Karate near me, Karate lessons for adults in Fairfield, Karate for kids near Fairfield, Karate for children near Fairfield, Karate clubs Fairfield, Karate Schools Fairfield, Karate schools near me, Karate Schools Sydney, Karate clubs Sydney, Karate for women, Karate for teens, Karate for adults, Karate all ages, Karate academy Fairfield, Kids Karate, Fairfield Karate, Karate tuition, Karate for beginners, Taekwondo near Fairfield, Taekwondo around Fairfield, Taekwondo Close to Fairfield, Taekwondo In Fairfield, Taekwondo lessons Fairfield, Taekwondo Fairfield, Taekwondo Training in Fairfield, Taekwondo classes in Fairfield, Taekwondo near me, Taekwondo lessons for adults in Fairfield, Taekwondo for kids near Fairfield, Taekwondo for children near Fairfield, Taekwondo clubs Fairfield, Taekwondo Schools Fairfield, Taekwondo schools near me, Taekwondo Schools Sydney, Taekwondo clubs Sydney, Taekwondo for women, Taekwondo for teens, Taekwondo for adults, Taekwondo all ages, Taekwondo academy Fairfield, Kids Taekwondo, Fairfield Taekwondo, Taekwondo tuition, Taekwondo for beginners.